our next guest post is by melanie from you are my fave. melanie has a lovely blog full of inspiration. she blogs all her faves, along with her amazing parties, diy’s, and a lot of humor. melanie is so much fun to be around, and i’m so glad that we’ve been able to hang out a few times and have loads of fun! 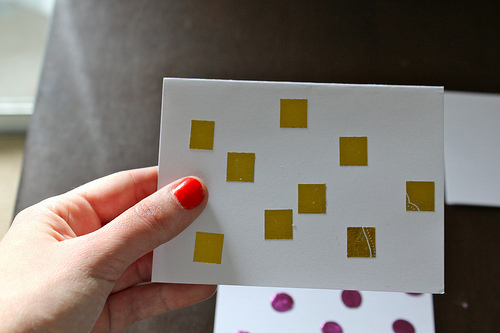 today, melanie is sharing a great DIY on foil transfers. thanks melanie for guest posting today while i’m off cuddling my little guy! 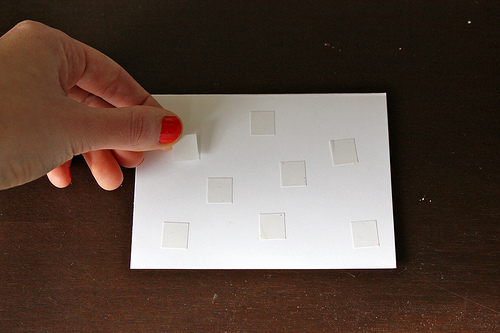 Cut out your design from the tape and adhere to the notebook. I stuck with a simple triangle cut out. 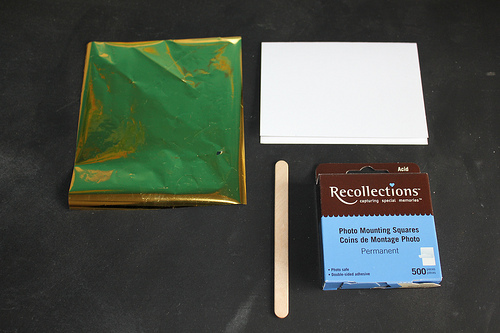 Cover design with foil, matte side down, and press down firmly with the stick. Pull back the foil sheet for the finished product. I’m definitely going to play around this more. My next project is to die cut letters from sticker sheets and foil monogram every plausible surface. yay melanie! great job. 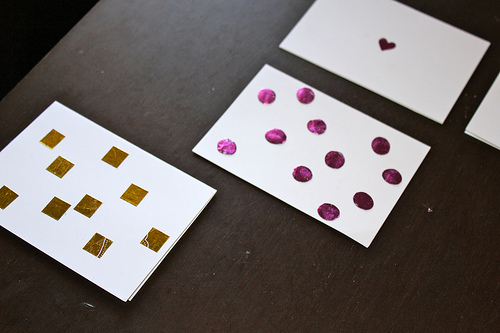 this is really cool — i agree, foil transfers would make some awesome personalized cards.